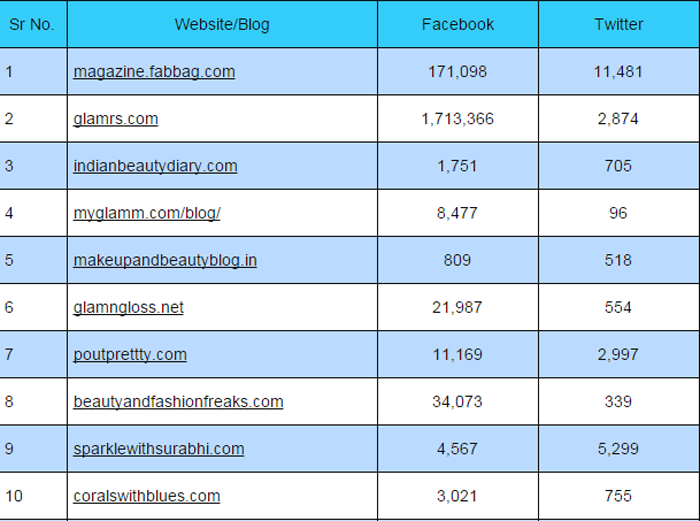 Indian Beauty Blog | Fashion | Lifestyle | Makeup | SparkleWithSurabhi : Top 10 Beauty Blogs In India!! Yayy!! The list of Top Ten Beauty Bloggers in India are out and I am one of the them!! 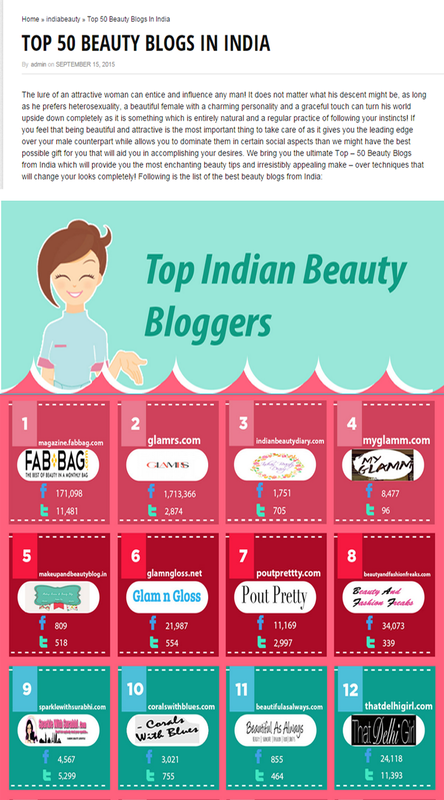 I was recently chosen by Times of India and Rebateszone as the Top 10 Beauty Blogs in India also among the Top 10 Bloggers by Blogadda as well. 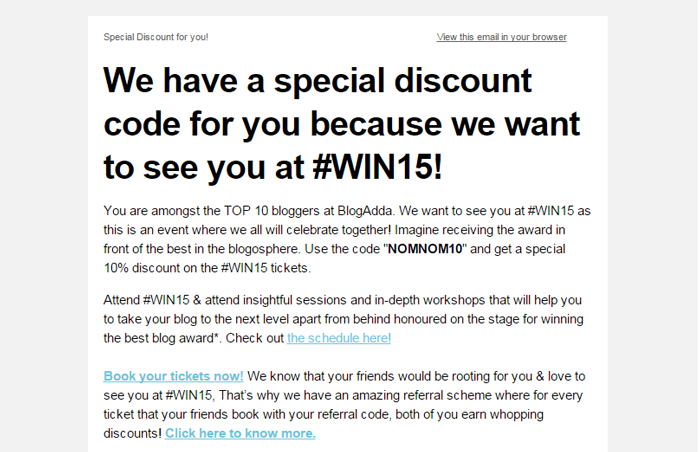 The list included Top 50 Beauty Blog of India and I was place at the Ninth Position in India. Opinion poll of women who have been reading the Top 50 Beauty Blogs on India. 1-out of three Women refuse to leave home without makeup. 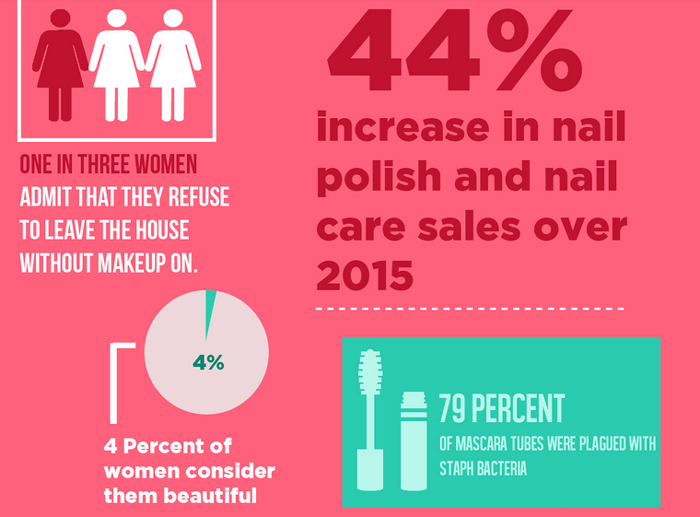 44% Increase in Nail Polish care sales. 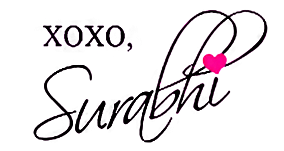 Thank-you so much Dear, Readers for making "Sparkle With Surabhi" such a big success!! Congrats... :-) Keep up the good work.